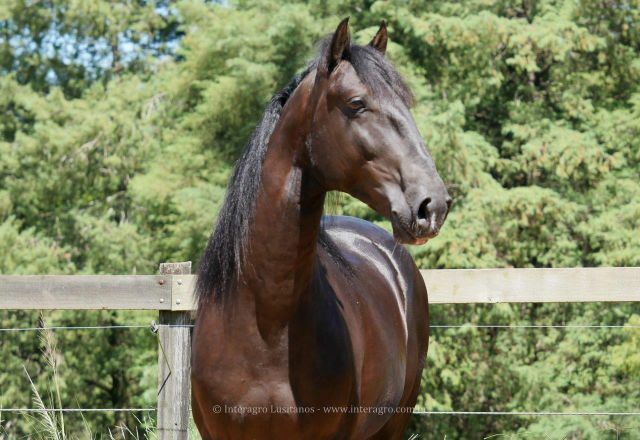 Ocala, Florida (December 4, 2018) – For more than four decades, Interagro Lusitanos has been one of most prestigious and influential breeders of Lusitano sport horses in the world. 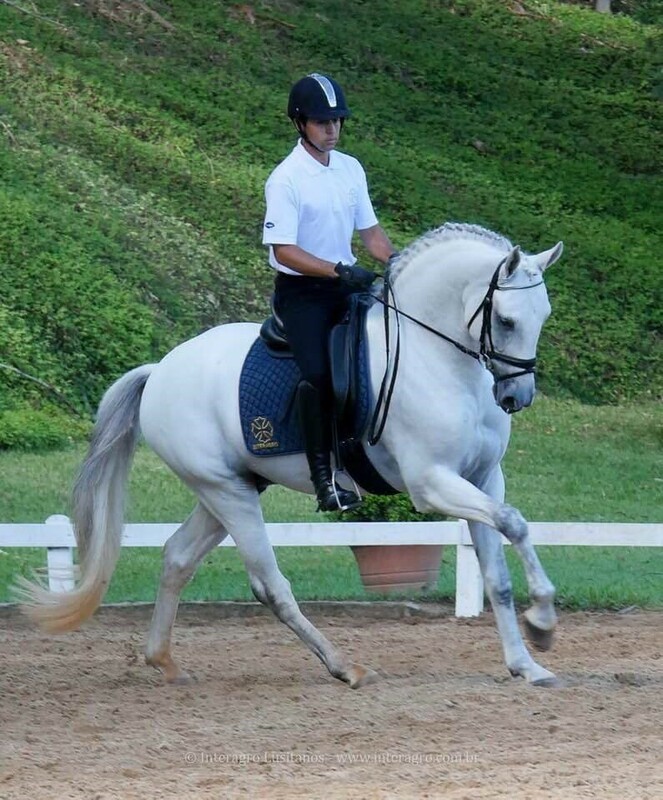 With the goal of preserving the foundational bloodlines of the European baroque breed, which were threatened following the Portuguese Revolution of 1974, Interagro has bred a modern Lusitano that is a sought after partner for dressage, working equitation, driving, and jumping. 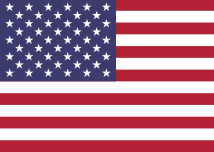 But in the twenty-first century, Interagro’s modus operandi as the largest breeder and exporter of Lusitanos has taken on a unique attribute: a substantial majority of horses have been sold and exported to US buyers sight unseen since the beginning 2016, with a flurry of young horses going to Ocala, Florida’s BREC Dressage. Having never ridden the horses before and going only on the reliability of Interagro’s US sales representative, reputation, vettings, video, and photos, these buyers are confident enough to purchase the horses sight unseen and export them to the United States. While Interagro has a long history of selling horses to other countries and continents, and even selling Lusitanos to buyers based solely on media and recommendations, the number of horses recently sold and their subsequent success in the show ring mark an interesting shift in the sport horse market. 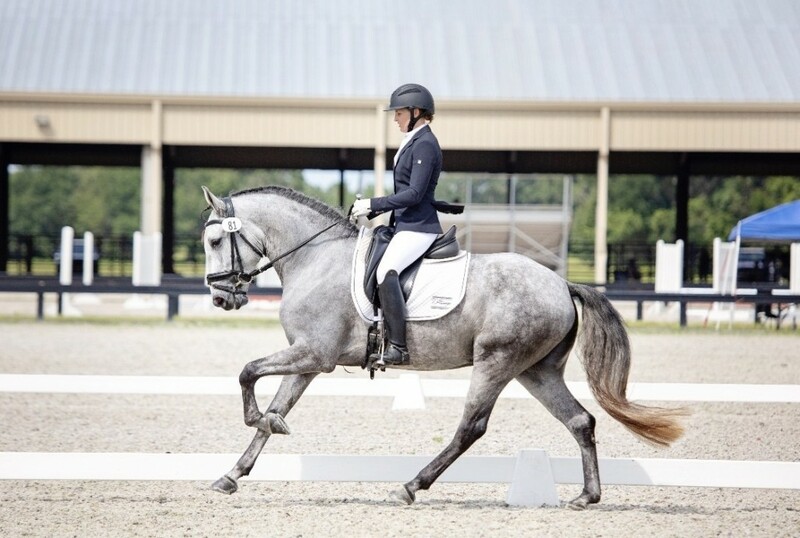 Tyra Vernon of BREC Dressage, who either for herself or on the behalf of clients has purchased a large number of the sight unseen Lusitanos, credits Interagro’s integrity as well as the quality of the horses that arrive at their barn door to the confidence they have in purchasing before a test ride. Displaying the precociousness, athleticism, rideability, beauty, and temperament intended by Interagro’s breeding program, the BREC Interagro imports have gone on to show successfully despite their tender years. 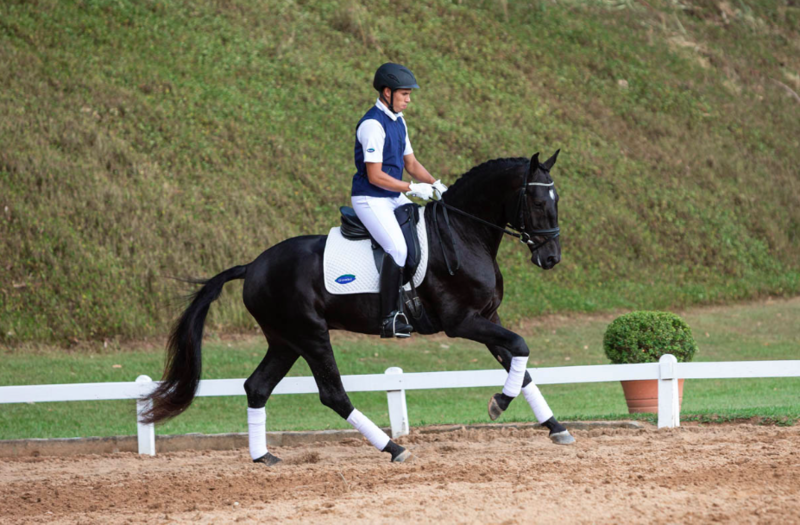 Vernon has shown a few of her own horses to excellent results in the United States, including qualifying scores with Hadrian Interagro at Third Level during the Adequan Global Dressage Festival in Wellington, Florida. She more recently rode Hadrian to a score of 74.27% and Hawk Interagro to a 70%, both in the Prix St. Georges. Both horses qualified and showed at Regional Championships in 2018. Another young superstar, Linus Interagro was imported by BREC rider Chelsey Miller. 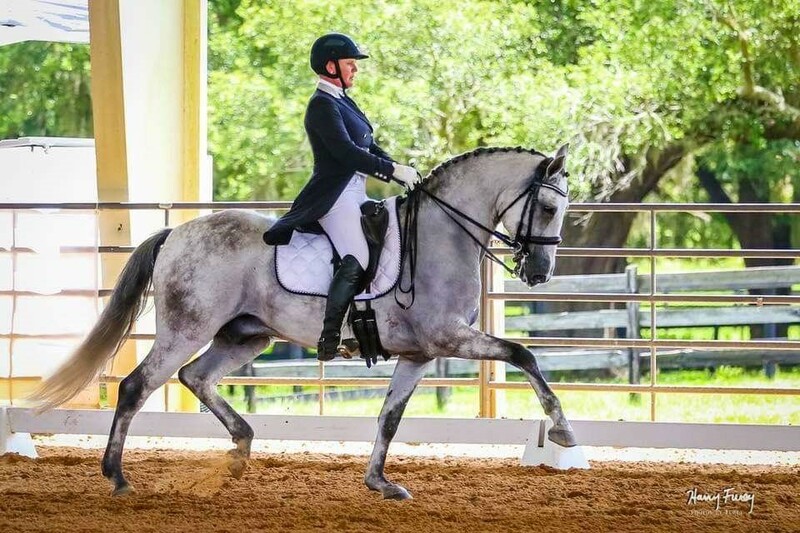 The four-year-old Lusitano gelding arrived in Ocala in June of 2018, and with just three weeks in the States, showed his poise and talent by scoring 72% to win a USDF Training Level Qualifying Class. Vernon currently owns 5 Interagro horses: Hadrian Interagro, Indus Interagro, Ladino Interagro, Lauro Interagro, and Navegador Interagro, and has purchased and imported more than 12 horses herself. In addition to Miller, BREC’s barns are filled with clients who have either purchased Interagro horses from Vernon or purchased and imported horses sight unseen from Brazil. These include Kerryann Schade with Horacio Interagro, Peggy Nagler with Hawk Interagro, John Pylant and Lila Gierasch with Herodotus Interagro, Courtney Eaton with Hermus Interagro, Renee Genther with Hector Interagro, Trish Keller with Canaletto Interagro, and finally Dominique Ferguson with Fauno Interagro. In November of 2018 another horse was added to that list, as Janet Buckner purchased and imported Idalio Interagro, who arrived at BREC Dressage in Ocala on November 14th. 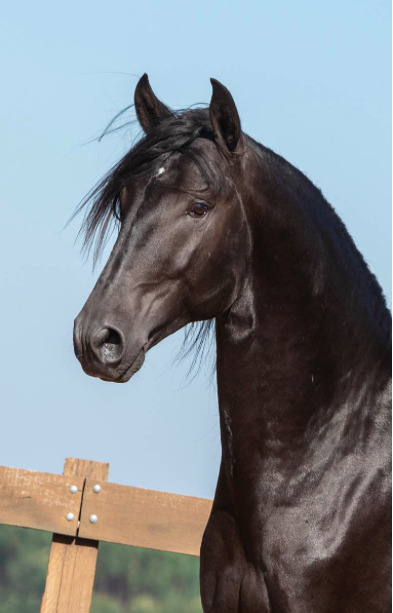 For more information on Interagro Lusitanos, Interagro’s horses for sale, or the Lusitano bloodlines, visit Interagro’s website at www.lusitano-interagro.com or follow them on Facebook and Instagram (@interagrolusitanos). 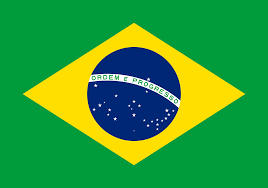 To organize a trip to Brazil or for any questions regarding sales or the logistics of importing horses to the US, contact their US Sales Representative, Peter van Borst at 817 368 9447.